Summer annuals are the mainstay of hot weather gardening. Unlike perennials, these hard-working plants have just one season in which to produce the seeds that will continue their species. They spend all their time and energy on the flowers that will make those seeds, providing your garden with months of bloom. Summer annuals, says Clemson University Extension, are available in dozens of varieties, colors and forms to accommodate a range of growing conditions. Whether your garden fills acres or a few decorative containers, petunias (Petunia hybrida) will provide it with masses of long-lasting bloom. Once limited to a few colors of single, trumpet-shaped varieties, sun-loving petunias are now solid, bi-colored, ruffled, mounding and trailing. The largest, grandiflora petunias, have flowers up to to 4 inches wide. Multiflora makes up for its smaller blooms by their sheer volume. Dainty milliflora petunias are ideal border edgings and containers with larger plants. With regular watering and feeding, groundcover petunias will conceal those unsightly bare patches beneath a colorful 6-inch high carpet. 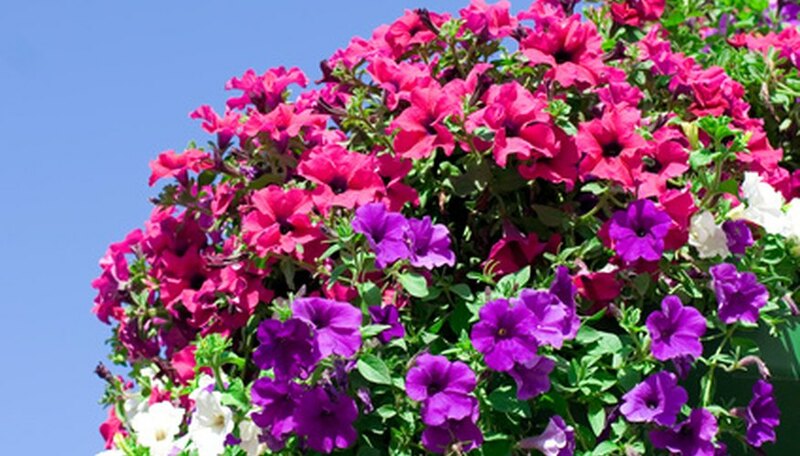 All petunias, says the University of Minnesota Extension, need sun (at least five to six hours per day) and well-drained soil. Improving the soil with organic matter and feeding plants from mid-July on with liquid fertilizer will maximize their blooming season. Don't overlook petunias as cut flowers. Add some cascading branches to your floral arrangements for fragrance and form. Their need for full sun is the biggest drawback of most garden annuals. Gardeners coping with lots of shade often rely on to shade-loving perennials to provide a limited amount of bloom each year. 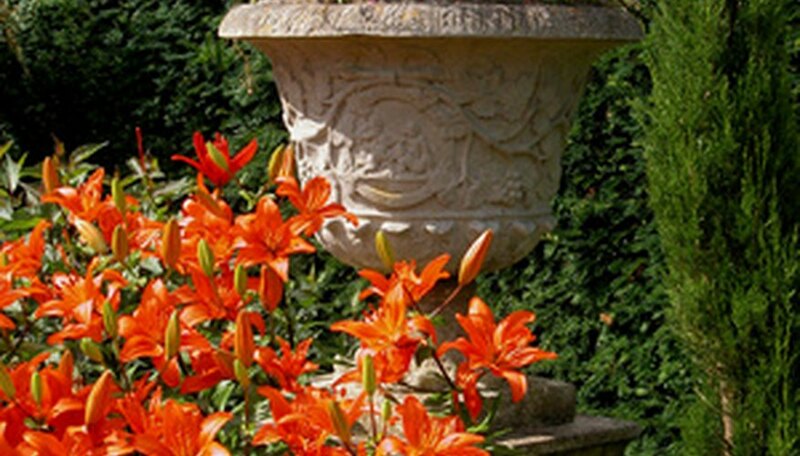 A handful of annuals, however, perform well among the lilies, astilbe and bleeding hearts. The best-known, impatiens (Impatiens wallerana) and coleus (Coleus x hybridus), make a striking pair. 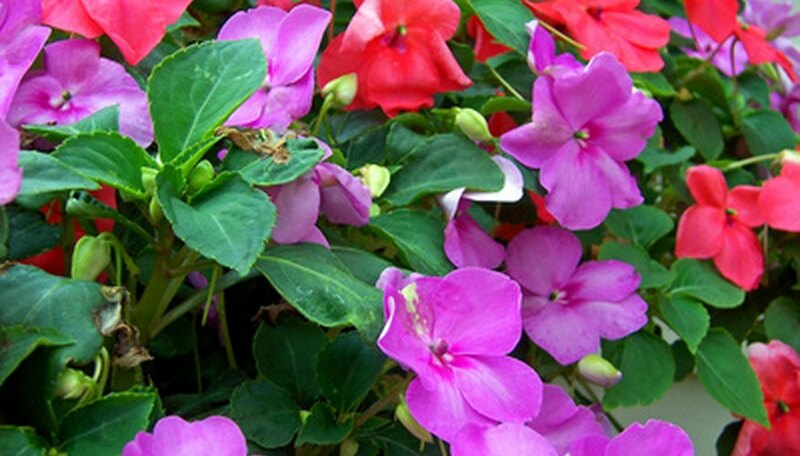 Continuously flowering, impatiens produced single or double blooms from white and yellow through a range of pinks and reds to lavender. Flowers, contrasting well with medium green leaves, are even more stunning in a mixed border with coleus. Grown for its variegated foliage, coleus has leaves patterned with burgundy, lime green, coral, pink and black. Both plants like well-drained, moist soil. Fragrant garden annuals create lasting memories of summer. Petunias have a light and airy scent. Other lesser-known annuals also perfume the breeze. Heliotrope (Heliotropum arboresccens), with deep green leaves and white to lavender blooms, performs well as a bedding or container plant. Plant it in morning sun and enjoy the vanilla fragrance that accounts for its other name: cherry-pie plant. Four o' clock (Mirabilis japala) opens in the late afternoon or on cloudy days. A bushy, up-to-3-foot plant, it grows as an annual in US Hardiness Zone 8 and lower. These heat-and-drought-resistant flowers, in white, pinks, red and yellow, attract hummingbirds and perfume the evening air. Plant four o'clock in sunny, moist well-drained soil. Plants and tubers are toxic if ingested.